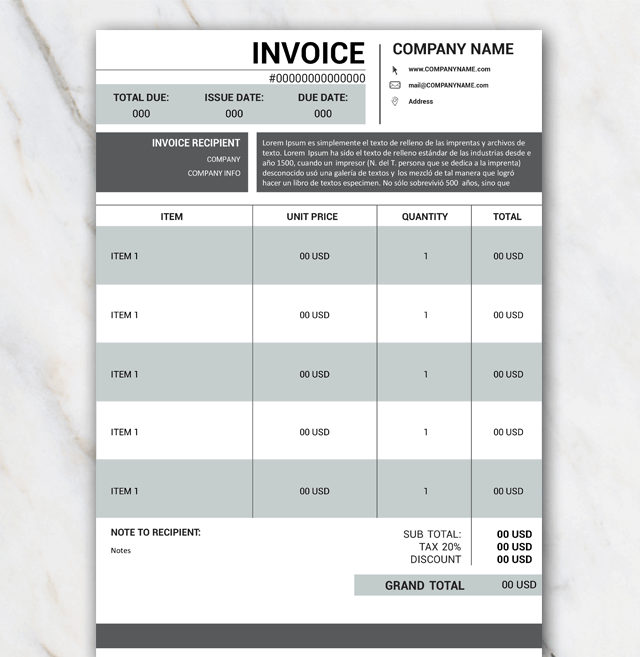 Looking for a fancy invoice template for Word? Look no further. Just download the 'Beta' invoice template for Word via the 'Free download' button above and edit the information to you company information. You can also insert a logo if you wish. Not really what you are looking for? Not a problem at all. Just have a look at the other invoice templates right here.